Monochrome postcard, from the Basil Hellier collection, of Dornoch Cathedral and the Square. 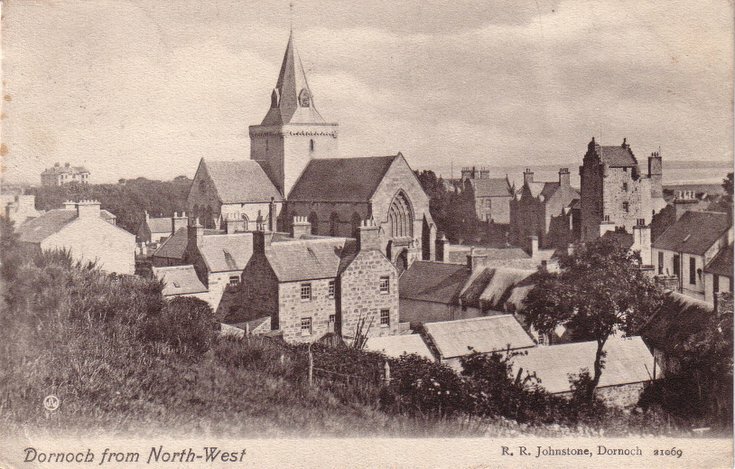 The card is a view from the north-west. The reverse has an address in West End, Golspie, an Edward VII half-penny stamp, and a Dornoch postmark SP 27 09.